Here is a note from David George, who is here with us in Haiti building a new orphanage in Léogâne. 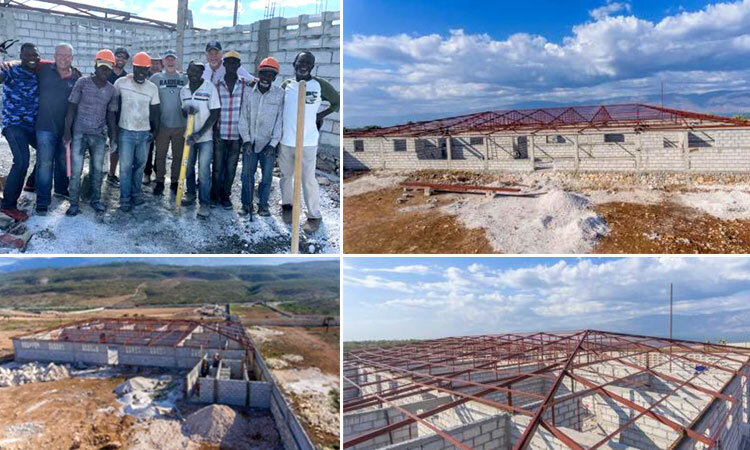 Here we are at the new orphanage that Bobby, Sherry, Love A Child, and David George World Ministries are building for Pastor Claude and his precious children from Léogâne. It will have a kitchen, a pharmacy, nice bathrooms with toilets and showers, a boys dormitory, a girls dormitory, rooms for the adults, and a dining room. Wow!!! Pastor Claude’s men are working so hard, and I praise God I was able to give all of them a bonus and they were so happy!!! To God be all the glory!